The government is planning to increase the number of international schools in France to cope with what it expects to be an influx of overseas students after Brexit. A draft law, to be debated by MPs this week, includes provision for the creation of "local public international educational institutions" in every region, using a public international school in Strasbourg - which welcomes more than 900 pupils of 48 nationalities - as a model. Several projects are already under way, notably in Courbevoie (Hauts-de-Seine) and Lille (Nord), as part of a plan to educate children of workers who move to France in light of Brexit. In an interview with the Journal du Dimanche, education minister Jean-Michel Blanquer denied claims these schools would be 'elitist institutions with privileged access for the children of European institutions'. 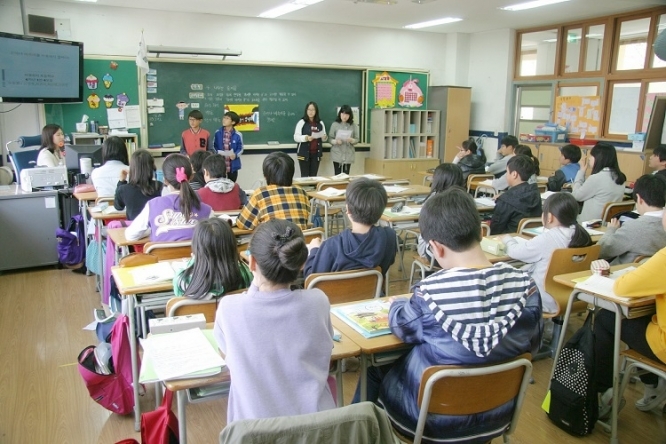 The proposal to increase the number of international schools is one of several under discussion as part of the latest education reform bill - which includes mandatory education from the age of three, means to improve mutual respect between teachers and pupils, enhanced roles for teaching assistants, and planned changes to examinations. The minister said the plans aim to meet two challenges: to raise the general level of education among students and promote 'social justice'. It is necessary "to initiate a virtuous circle of trust within the education system, but also in society through the school," Mr Blanquer said. The new schools were initially proposed in a €5billion 10-year strategy for Ile de France that was published in February 2017 - but the plan has since been adapted to include the whole of the country. The plans are not without controversy. Students have protested against planned reform of the bac exam; teachers have come out over perceptions of the “much derided profession”, while plans for 'foundation school' for pupils from age three to brevet have also come under fire.